Dear teachers and students of the Faculty of Medical Technologies, Diagnostics and Rehabilitation! 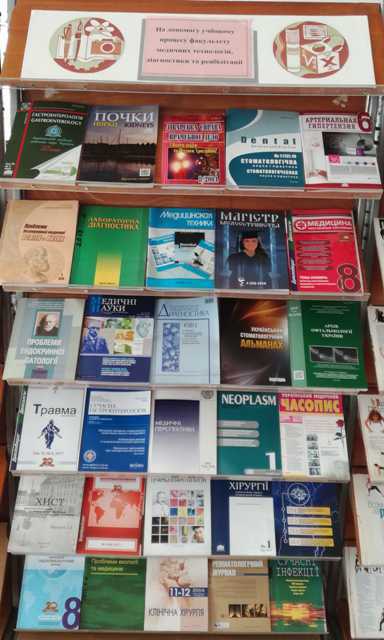 The scientific library invites you to visit the exhibition of professional journals, which is presented in the reading room of natural, technical and economic sciences (room 419). World Theatre Day (WTD) is celebrated annually on March 27 since 1962. World Theatre Day was initiated in 1961 in Vienna at the 9th Congress of the International Theatre Institute (ITI) under UNESCO. Life is changing, but theater still awakens good feelings, raises a person over ordinary, contributes to humanization of society, forms aesthetic taste and broadens the mind. 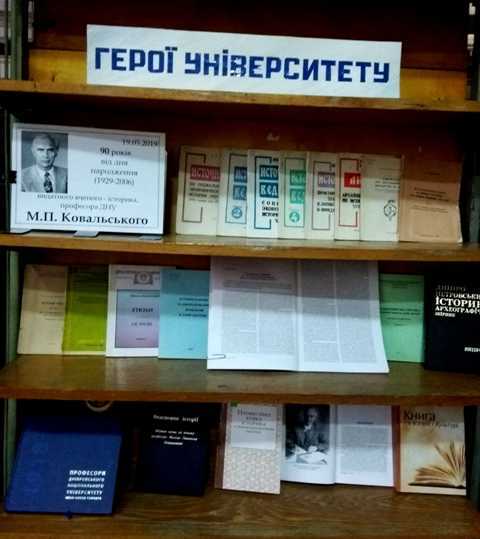 With love and respect the scientific library presents a jubilee exhibition to the 90th anniversary of Nikolai Pavlovich Kovalsky's birthday, doctor of historical sciences, professor of Dnipro National University, honored worker of science and technology of Ukraine, academician of International Slavic Academy of Sciences (USA), scientific work vice rector of Ostroh Academy, the chairman of the Ostroh branch of the Ukrainian Historical Society, the head of Ostroh branch of M.S.Hrushevsky Institute of Archeography and Source Studies of the National Academy of Sciences of Ukraine, the founder of modern source studies scientific school. Nikolai Pavlovich has a special place among prominent figures of the national science however, the value of an individual is determined not so much by positions but the qualities which are revealed in the service for the common good. 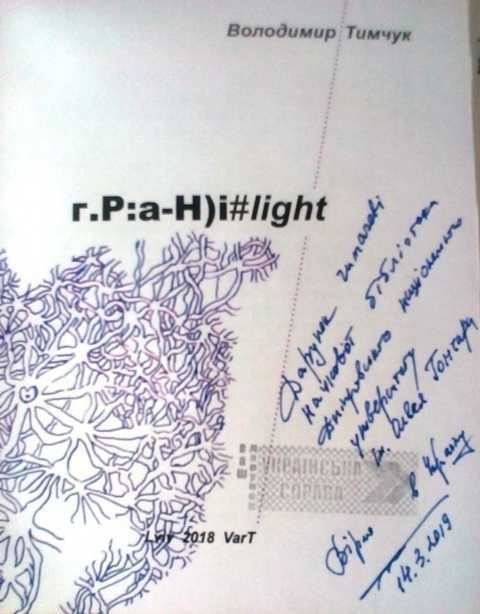 The evidence of this is significant scientific achievements of Nikolay Pavlovich: more than 529 printed works: 28 postgraduate students and doctoral students defended their research works under his supervision. 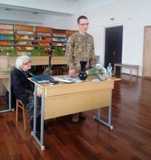 He brought up the whole pleiad of historians including G.K. Shvydko, A.G.Bolebruch, S.M.Plohiy, Yu.A. 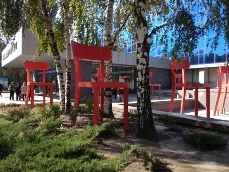 Mitsik, V.A .Brehunenko, Yu.A. Svyatets, V.I.Voronov. 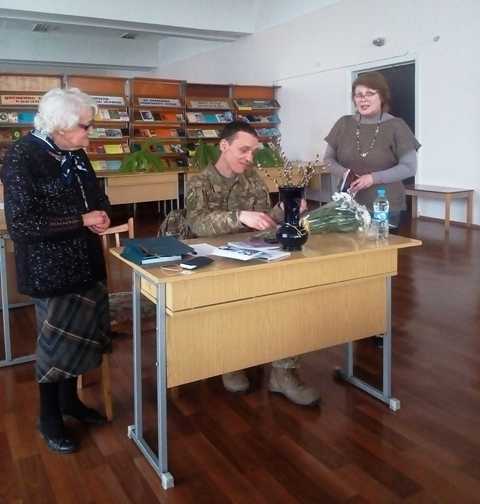 For his active work he was awarded an Excellence in Education of Ukraine badge and a Medal of the President of Ukraine the "Defender of the Motherland". 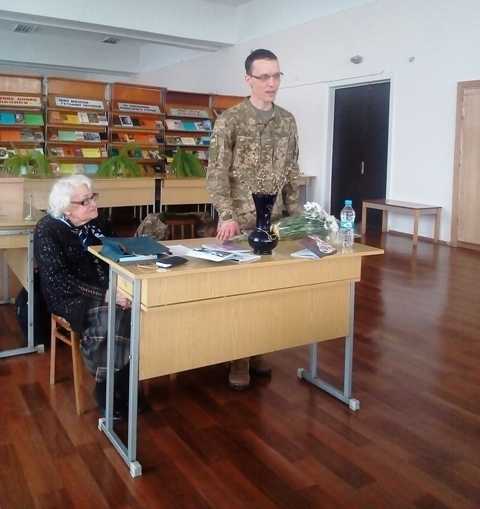 For the whole generation of Ukrainian historians he was not only an example of scientific conscientiousness, devotion to his work, wild energy and professional enthusiasm. He was and he remains the Great Teacher. March 14 marks Ukrainian Volunteer Day. 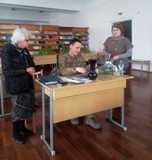 On this day the Scientific Library hosted a creative meeting with Vladimir Timchuk, a Ukrainian poet, writer, translator, officer of the Armed Forces of Ukraine, lieutenant colonel, candidate of technical sciences and senior researcher, B. Khmelnitsky award laureate for the best coverage of military subjects in works of literature and art (2016). 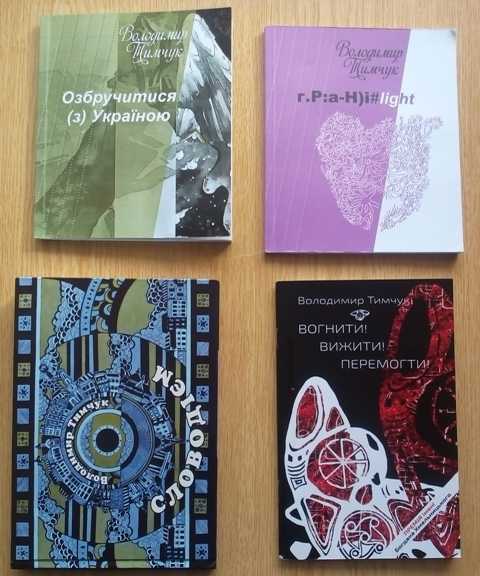 Volodymyr Tymchuk told about his creative biography and shared his thoughts about life. "Fire! Survive! Win!" which he presented at this event. 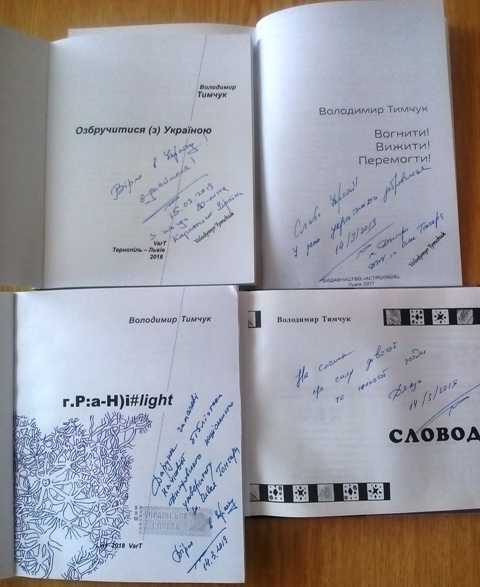 At the end of the meeting Volodymyr Tymchuk presented his books to the Scientific Library. The meeting was held in an informal, friendly atmosphere. The staff of the library wished the author creative success and grateful readers. 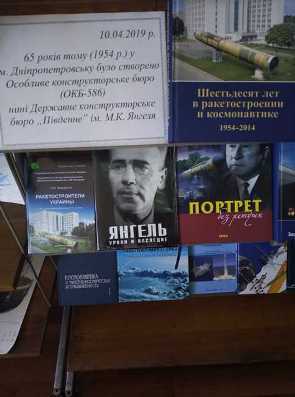 At the end of the meeting, Vladimir Timchuk presented his books to the DNU Scientific Library. The meeting took place in an informal, friendly atmosphere. The library team wished the author creative success and grateful readers. Please accept our sincere congratulations on a wonderful spring holiday - International Women's Day March 8! We sincerely wish you warmth, spring mood, family well-being, peace, prosperity, creative inspiration! 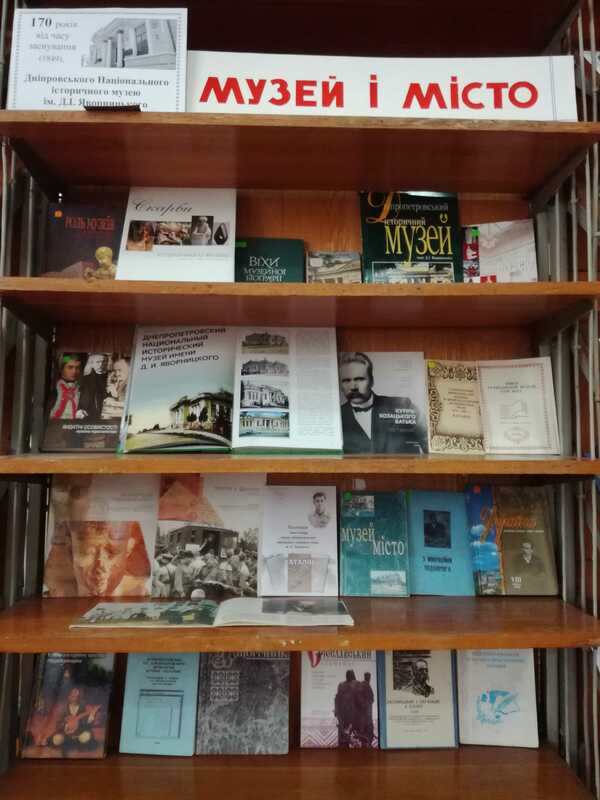 For the holiday of Spring, Beauty and Love in the reading room of the social sciences and humanities a book and magazine exhibition was prepared: "Woman is the pride and greatness of the world" and installation exhibition: "Beautiful faces of the twentieth century." 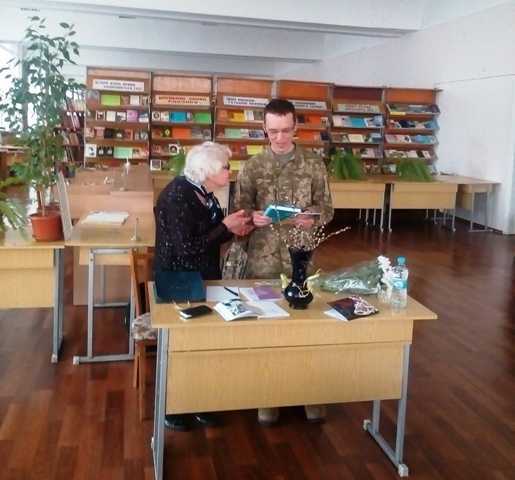 The material was prepared by an employee of the library Syukh O. M.
February 15, 2019 marks 30 years from the date of troops’ withdrawal from Afghanistan. The Afghan campaign lasted for more than 9 years and left an incurable wound in the hearts of those who participated in hostilities, who lost friends, sons or parents. These are more than 160,000 Ukrainian soldiers, 12,000 of which were injured and contused and 3360 did not return home. 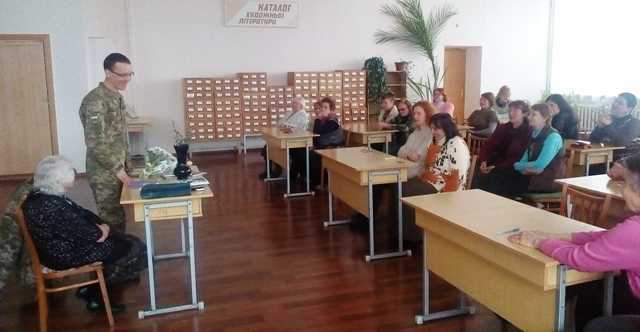 The Scientific Library sincerely congratulates the employees of Dnipro Yarovnitsky National Historical Museum on the 170th anniversary! You can find the electronic library (e-books, etc.). in the Internet class of the library There is access to the internet via LAN and Wi-Fi. 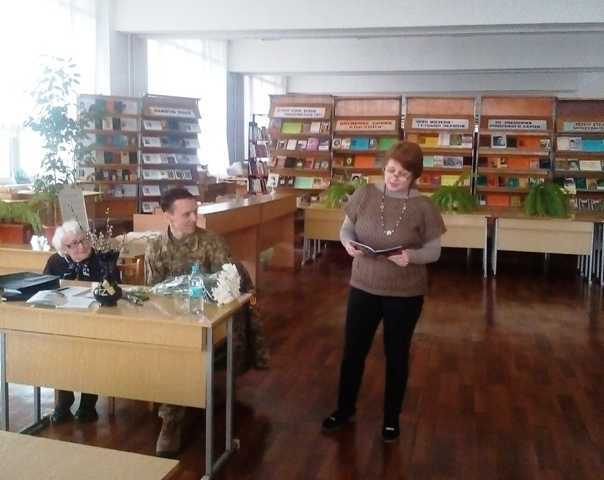 Take part in the charity event "Give the library a new book." Your charity will help to update the library collection, to familiarize users with the latest books on various branches of knowledge and interesting fiction. 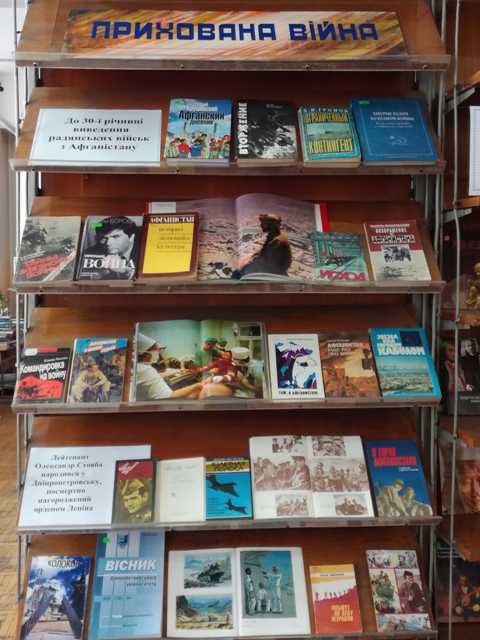 If you are the author of a new book, do not forget about the library where your creative achievements will be stored and will find recognition among readers. Address: Kazakova Street, 8, room 110, room 306.